The 84 meter long, 1384 dwt freighter MGM No. 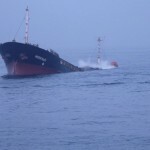 5 exploded and sank in the East China Sea near Namhae Island, South Korea. 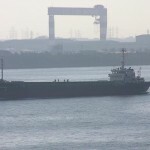 The freighter was carrying a cargo of metallic powder from Incheon, Korea to Wakayama, Japan. 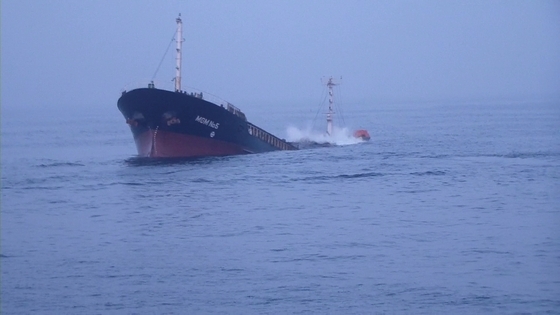 The 41850 dwt container ship FESCO Diomid was nearby and rescued 9 crewmen from the MGM No. 5. One crewman remains missing. The crew were later picked up by the Coast Guard by helicopter and taken ashore. Authorities dispatched patrol boats to look for the missing man. An investigation into the incident was launched. Reports state the MGM No. 5 now rests in 90 meters of water.